A loved one has passed. You have a closet full of clothes, or maybe a few boxes of clothing that you have acquired after you cleaned the closets. What ae you going to do with this clothing? There are several stages of grief. Maybe you want to move on within a few weeks, or maybe it has been a few years. There is no correct answer. Just what is best for YOU. So, what is the next step? Consider having a quilt(s) or pillow(s) made from the clothing. 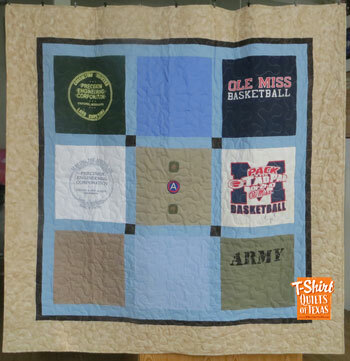 A memory quilt made from clothing creates a memory that you can wrap you up in hugs that will last a lifetime. a foursquare block made with logos. If you are planning to have a quilt or more made from your loved ones clothing, here are the first steps of that planning process. Who were the closest people to the person that passed? The remaining spouse, parent, or children? Maybe it was the care-taker or close friend. You need to decide who is on your list of people to receive a memory quilt or pillow. 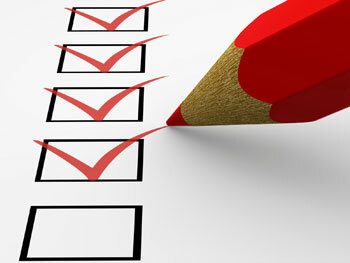 Your budget will play a large part on how many quilts or pillows to have made. Are you doing this by yourself? Are you 'going in' with siblings to make one for Mom? Maybe you a part of a group of friends who are having a quilt for a special friend who lost a child. Unless the quilt is for a spouse, we really recommend that memorial quilts are a throw sized quilt. This size quilt is perfect for most everyone, as they will feel more comfortable with the quilt draped over a chair than sleeping under it. It is always insite, and easily picked up for a quick hug or snuggle. We want the quilt to be used, not folded and put away on a shelf. Mom or Dad has died, leaving the spouse and children. Consider having a bed-sized quilt for the spouse, and a throw for each child. A Grandparent dies, and has a few kids, several grandchildren and a couple of great-grand kids. We suggest making throws for the immediate kids, either a throw or pillow for the grand-kids, and budget allowing, pillows for the great-grandkids. A child passes. Whether it was a baby, teen-ager or adult, the pain is immense. Parents should make a bed-size or throw for themselves, and throws for any siblings. Pillows for other family members. Generally, folks will bring all of the clothing that they have pulled out of the closet and drawers. We have had as few as five nightgowns that were all the clothing that was left after a long illness, and one family that brought four giant moving boxes full of clothing (including socks and underwear). Depending on the quilt pattern selected, we can distribute the fabric from a single shirt across several quilts and pillows. Decide if there is particular clothing that is special to one of the children (maybe they gave grandpa a "Best Grandpa" t-shirt. You would want to mark that for inclusion in that persons quilt. You can sort by color theme or just random. Recently, we made three quilts for a surviving spouse and her two grown children. The kids quilts were all reds and blue plaid shirts along with several pairs of jeans (be sure to note if you want pockets included or not). The quilt for the wife was all brown and green plaids with khaki pants. If designating a single shirt as a pillow, just put blue painters tape on it noting "PILLOW". Our motto is that "if it can be laundered, we can probably use it" in your quilt. Since we work with all kinds of fabrics, we do stabilize lighter weight fabrics so that they will hold up to a long life as a quilt. Keep in mind that fabrics that are rough or scratchy (like sequins or puff paint), will still be rough or scratchy in the quilt or pillow! We cut what we need from each item of clothing, then save the remnants for you in case you decide that you would like more quilts or pillows. Embroidery is a way to memorialize the one who has passed. 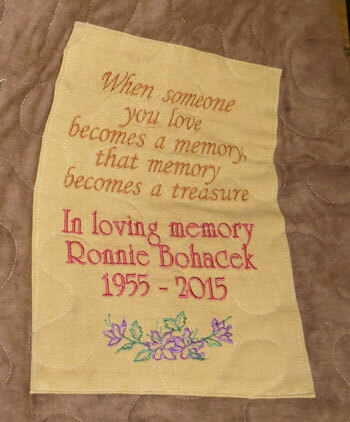 Where it is a simple "In Memory of ..." or a sentiment like "This is a shirt I used to wear...." Embroidery can be added to a quilt or a pillow.